I’ve been rather “techy” lately, so this post is about my family’s recent vacation, which as my wife, Robin, said was a “Van vacation”. I think that’s because it was full of history, science and a lot of best-kept secrets from the southern Outer Banks of North Carolina. 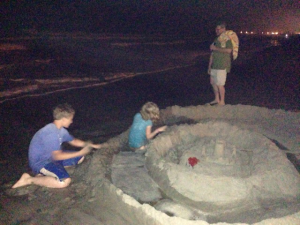 We spent a week at Atlantic Beach, NC, within a long walk of Fort Macon, a well-preserved stone and earthwork fort from the first half of the 19th century. 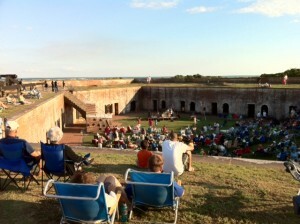 Built after the War of 1812, when Fort McHenry proved its worth, Fort Macon quickly fell to Union forces with new-fangled rifled cannons during the Civil War. It was still used as a lookout station against the very real threat of German U-Boats in WWI and WWII. 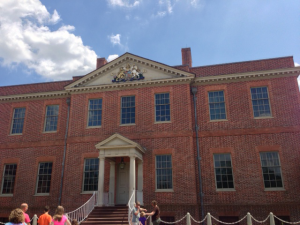 Now, it’s a great living history museum and nature preserve. On top of that, we got to see a free concert there by Zydeco band Unknown Tongues on the last night of our vacation. 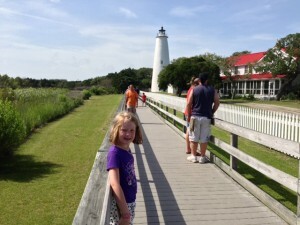 We took one whole day to visit Ocracoke, NC. We left early to drive an hour over Cedar Island to the ferry landing at the end of nowhere. From there, it was a two hour-and-fifteen minute ferry ride to a town whose most famous citizen was Edward Teach, also known as Blackbeard. (Like some business people today, he would spend the nights in Ocracoke while he was “working”.) We saw the British Cemetary, where the bodies of British sailors whose ship was sunk by a U-Boat are buried. The kids really enjoyed the National Park Service’s pirate presentation. We spent the afternoon tooling around in kayaks in the harbor. After the last ferry and the drive back through the marsh, we didn’t get home until 11pm. We spent an afternoon at the Pine Knoll Shores branch of the North Carolina Aquarium. 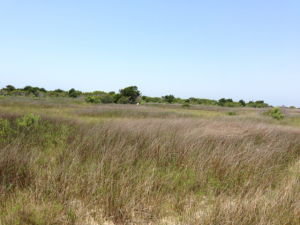 Besides the divers’ show in a tank with a replica wreck from the Graveyard of the Atlantic, we hiked what seemed like miles of trails through the marsh. Kids will wear you down fast. Another day; another field trip. This time to Shackleford Banks, a desolate stretch of sand just across Bogue Inlet from Fort Macon. We packed a picnic lunch and took a small ferry over from Beaufort. We got to see the turbulence where the ocean waves meet the sound at the tip of the island—it’s cooler than you would think. We swam in the sound. We got to see the banker ponies, wild descendants of horses from a colonial Spanish wreck. We discovered that constant ocean breeze will get sand in your sandwiches, no matter how hard you try to keep it out. Besides all this, we did the normal beach things, including a valiant defense of our family’s sandcastle at 9 o’clock one night, and walking around the waterfront of historic Beaufort one afternoon. The Beaufort excursion ended with a visit to the NC Maritime Museum, and a libation break by the boardwalk. Just in case we didn’t get enough “Van vacation”, we stopped at Tryon Palace in New Bern on the way home, where we learned about the short-lived (and now reconstructed) royal palace, and about life around Pamlico Sound in the early 1800s.